The Financial Accounting Standards Board (FASB) introduced a new accounting standard that requires companies to present service cost as the only operating component of periodic pension costs on the income statement. Our forensic accounting technology has applied this convention since inception, so all of our models and research already reflect and will continue to reflect this change. In other words, we have you covered. Prior to this rule going into effect, companies are allowed to disclose these components of NPBC in any line item on the income statement without disclosure as to which components were in which line item. As a result, they could use non-operating elements of the NPBC to influence their operating results. The new rule requires all companies to include the service cost in compensation costs or any line item above a subtotal of income from operations. In addition, it requires disclosure of which line items contain components of NPBC. This change will be required for annual reporting periods beginning after Dec 15, 2017 (meaning companies with fiscal year ends of Dec 31, 2017 are not required to adopt the change). Early adoption is allowed for companies who had not filed a quarterly statement prior to the announcement, for their current annual period. Although we do not know exactly how many companies will be adopting this change early, some current examples of those who have adopted this fiscal year are Hawaiian Holdings (HA) and Ryder System (R). Figures 1 and 2 above provide an example of current disclosure from Johnson & Johnson (JNJ), taken from our Marked-up Filings page. Based on current disclosure, we treat both service cost and amortization of prior service cost as operating expenses, removing the effect of all other components of NPBC from our calculation of after-tax profit (NOPAT). Recurring items, such as interest cost, are assumed to buried in operating expenses, but we do not know for sure due to lack of disclosure. We determine whether non-recurring items, such as “Curtailments and settlements” above, are included in operating or non-operating expenses based on disclosures in the footnotes or MD&A. Our calculation of NOPAT includes prior service costs because we believe that charges or credits attributable to past services rendered are important to include as part of a firm’s normal operations. Note that the new rule from FASB will not require companies to include these costs in operating expenses. As a result, we, and other analysts, will need to continue to make this adjustment. Figures 3 and 4 show the impact and components, respectively, of the net $252 million gain recorded in operating expenses for JNJ’s fiscal year 2016 based on current disclosure requirements. 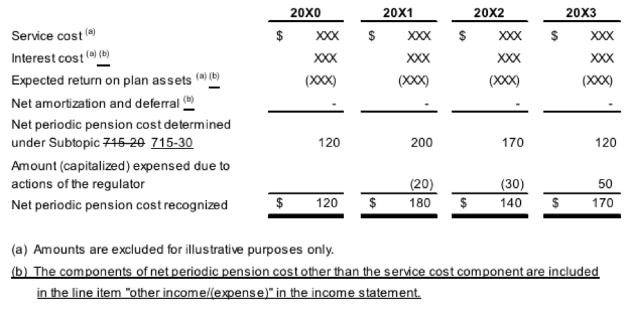 Figure 5 is an example provided by FASB about how the new disclosure will look. Note that the footnote to the disclosure indicated which NPBC components are being placed into which line item. 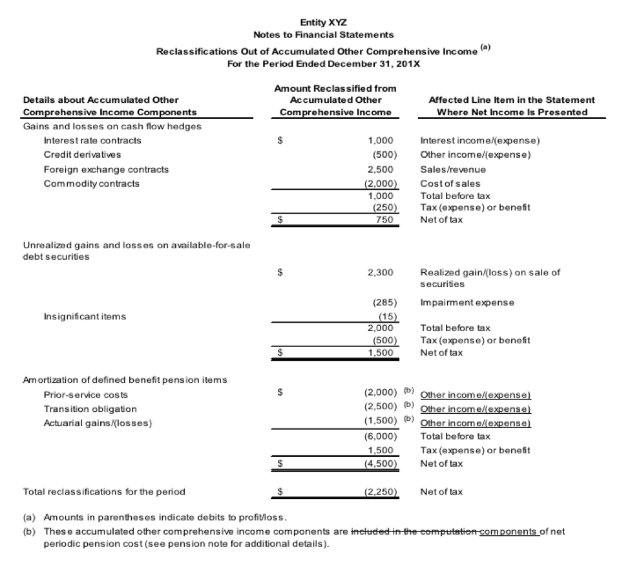 Figure 6 is another example disclosure provided by FASB related to NPBC components being transferred out of OCI and included on the income statement. Note the disclosure for where NPBC items are placed. Figure 7 highlights the treatment of NPBC components under existing GAAP rules, future GAAP rules, and New Constructs. Note that we are not making any changes to our treatment of line items. Our models will, as always, maintain comparability with prior periods. In historical documents, we have always removed the effect of NPBC components other than “service cost” and “amortization of prior service cost” that were buried in operating expenses. We will continue to treat NPBC components the same way. The difference post-adoption of the new accounting rule is we will no longer need to remove the effect of non-operating NPBC components if presented in non-operating line items on the income statement. Our NOPBT and NOPAT values will remain 100% comparable year-over-year with regard to pension costs. Our policies differ from the FASB guidance regarding amortization of prior service cost. We believe that the effect of changes to the plan that bring charges or credits into the current period for prior services rendered should be included in current-period economic income. FASB took these concerns into consideration (see Appendix item #2), but ultimately decided not to pursue inclusion in operating income. We strive to be at the forefront of accounting standards changes, preparing for months in advance of required changes. When meaningful changes such as this come to light, we update our calculations to maintain historical comparability and better reflect economic profitability. It is encouraging to see FASB update accounting standards to better reflect operating profitability in a way New Constructs has been treating these costs all along. “The amendments in this Update require that an employer report the service cost component in the same line item or items as other compensation costs arising from services rendered by the pertinent employees during the period. The other components of net benefit cost as defined in paragraphs 715-30-35-4 and 715-60-35-9 are required to be presented in the income statement separately from the service cost component and outside a subtotal of income from operations, if one is presented. If a separate line item or items are used to present the other components of net benefit cost, that line item or items must be appropriately described. If a separate line item or items are not used, the line item or items used in the income statement to present the other components of net benefit cost must be disclosed. “BC15. Some respondents commented that there is no underlying difference in principle between current service cost and prior service cost. The two components both reflect the compensation cost of pension benefits granted to employees in exchange for services provided and, therefore, should be treated in the same way. BC16. The Board considered pursuing, but decided not to pursue, an alternative to include the prior service cost or credit component in the line item(s) reporting current employee compensation because this component is not exclusively related to the current period’s employee services and may add complexity to financial statement users’ analyses of an entity’s core operating performance. The Board also noted that users generally view (a) the service cost component as most clearly representing an operating component included in net benefit cost and (b) exclude the prior service cost or credit component from their analyses.